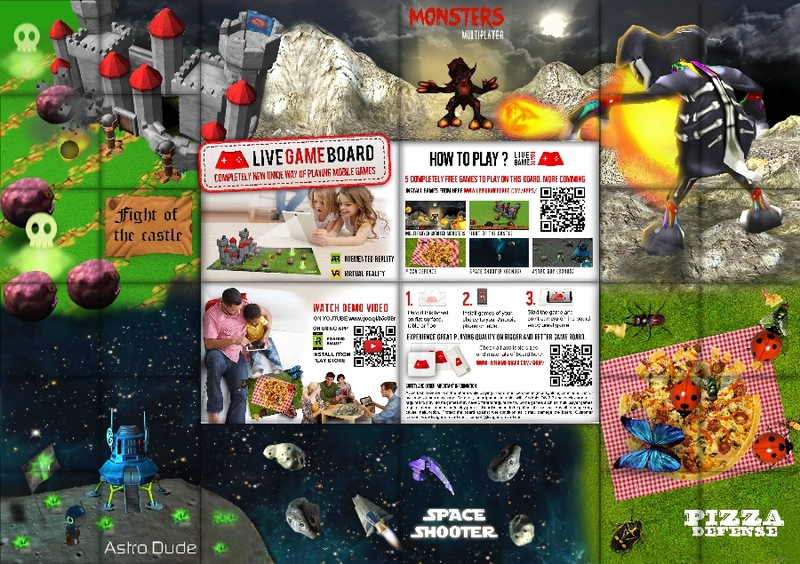 The prototype version is coming out with first version of Monsters multiplayer game designed for the board by Live Game Board team. This game demonstrates augmented reality playing with variety of control modes. Game comes in multiplayer which emphasises this way of playing games. “When we play the game with friends it makes it feel like it is all happening in front of you. All game is laying down on the floor, you even want to touch these monsters...” Stan Kuhn, founder. The board is estimated to reach first production version in early August. By this time there will be available at least 5 free games to play on the board. Stay in touch to keep updated. Download the Monsters game here.